Summary: Here are top 10 best German Christmas songs that can make a nice addition to your Christmas holiday playlist. Check them and use the tool we recommend to download them. Listening to festive music around the holidays is a long-running tradition in many parts of the world, including Germany. Some of the most well-known carols in the world were originally written in German but the country isn’t shy about translating foreign songs into the local language either. As a result, the most popular German Christmas songs right now include a nice mix of original and borrowed creations, all of which would make a nice addition to your holiday playlist. We’re starting off with one of the most famous German Christmas songs of all time; a song that you’re surely very familiar with already. The song in question is, of course, Stille Nacht (Silent Night), which was originally written in German by Austrian priest and writer Joseph Mohr with lyrics by Franz Gruber. Many countries around the world are familiar with Gene Autry’s 1950 hit single Frosty the Snowman and Germany is no exception. The song was translated into German a few years after the English version came out and has remained a staple around the holidays ever since. O Tannenbaum (Oh Christmas Tree) is another one of the German Christmas songs that should be immediately recognizable to you. Similar to quite a few other songs on this list, O Tannenbaum wasn’t actually meant as a carol in the beginning but ended up becoming a symbol of Christmas anyway. That name might be a bit of a mouthful if you don’t speak German so you’ll probably remember it easier by its English name - Savior of the Nations, Come. Dating all the way back to 1524, this is one of the oldest German Christmas songs that’s still being performed to this day. This is the German version of White Christmas, a very popular song released back in the 40s and popularized by Bing Crosby. The song was originally written for the musical comedy Holiday Inn, which starred Bing Crosby himself as the main actor. If you thought the previous song was old you may be surprised to find that this one dates even further back, all the way to 1320. In Dulci Jubilo is a very interesting piece of music that combines German with Latin to form a truly unique Christmas hymn. Roughly translated as “Oh Come, Little Children,” this might be one of the best German Christmas songs to listen to alongside your family during the holidays. The melody is very soft and creates a truly warm atmosphere that everybody will undoubtedly enjoy. You don’t need to know a lot of German to understand that this song is all about Rudolph the Red-Nosed Reindeer. In fact, chances are you already know the original, which was written in 1949 by the same Gene Autry who wrote Frosty the Snowman. Kling, Glockchen (Ring, Little Bell) is one of the German Christmas songs you might not be familiar with because it was originally meant to be a folk song. However, over time the song became synonymous with the holidays and is now sung every year around Christmas time. We’re ending our list with a great song that roughly translates to something along the lines of “Go to Sleep.” The original composer of the song remains unknown to this day but it would appear that he or she originally intended for Go to Sleep to be used as a lullaby, however, nowadays most people use it as Christmas song. It might be difficult to find German Christmas songs at your local music store if you live outside of Germany but you can definitely always find them on YouTube. The platform hosts pretty much any song you can think of and thanks to DVDFab YouTube to MP3, you’re no longer restricted to listening to them online. With this tool, you can easily download all your favorite songs or even entire playlists in one fell swoop. 1. Open the DVDFab 11 client and navigate to the Utilities section to find YouTube to MP3. 2. Go to YouTube and type in the name of one of your favorite German Christmas songs. Copy its URL and then return to the tool. 3. Paste in the link and the software will automatically start downloading the song. The process works the same with playlists so simply copy the URL of a song found in the playlist you want to download. 4. Go to the Finished tab once the songs have been downloaded and click the folder icon to start playing them. Listening to German Christmas songs can be a great way to learn a bit about the language or improve your existing skills. Of course, that only works as long as you can listen to them without interruptions so don’t hesitate to use DVDFab YouTube to MP3 to download all your favorite music and enjoy it offline. If you also want to find some Christmas movies, please check top YouTube Christmas movies. How to Play MKV Files on Android Devices? How to play MKV files on Android devices? 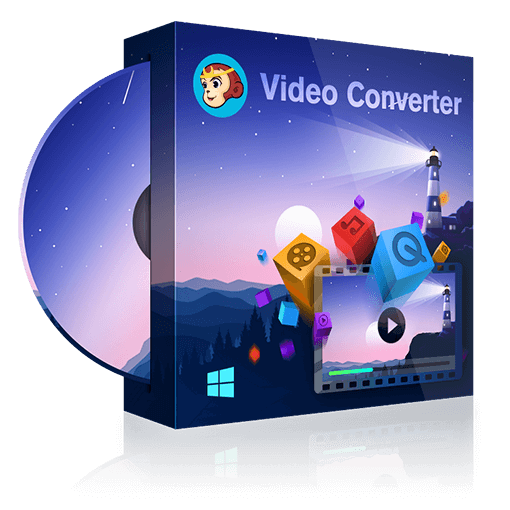 You can either convert MKV to Android supported formats or take advantage of a third party Android MKV player. Now read on for the details. If you are looking for some Christmas dance songs to take all your guests to the dance floor, here are top 10 of them for you to download and use. China has a massive film industry that produces movies of all genres. let’s take a look at some of the best Chinese movies on YouTube as of 2018 and we’re also going to talk a bit about how you can download them for free.